Continuous Tours and Explanation | Saturday, October 6, 2018 from 6 p.m. to 1 a.m.
For a short time Vienna became the center of the avant-garde. 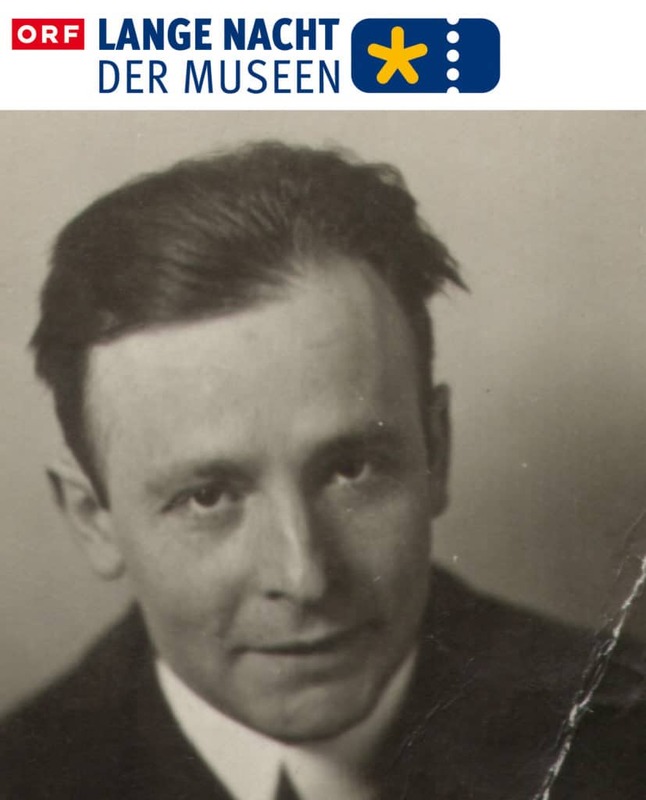 In 1924 Friedrich Kiesler organized the Internationale Ausstellung neuer Theatertechnik (International Exhibition of New Theater Techniques) as part of the Musik- und Theaterfestival der Stadt Wien (Vienna Music and Theater Festival). He collected several hundred theater concepts, stage decorations and costume designs, posters and models, inter alia from Russia, Italy, Germany, France and Austria. The Who’s who of the avant-garde met at the exhibition in the Wiener Konzerthaus and at accompanying events organized by Kiesler: Rudolf Belling, Fortunato Depero, Theo van Doesburg, George Grosz, Fernand Léger, El Lissitzky, Filippo Tommaso Marinetti, Vsevolod Meyerhold, László Moholy-Nagy, Enrico Prampolini, Oskar Schlemmer, Lothar Schreyer, Fritz Schuhmacher, Kurt Schwitters and many others. This enabled an exchange between the artists of Futurism, Constructivism, the Bauhaus and the artists of the De Stijl movement. As one of the leading thinkers of the theater avant-garde, the cleverly networking Kiesler acted as a link between the individual artistic trends. In keeping with the tradition of Viennese Modernism’s “total work of art,” he conceived the Leger- and Trägersystem (L+T System), a flexible, free-standing construction for the presentation of objects and images for the exhibition’s display structure. Kiesler also designed the poster, the catalog and all other types of printed matter for the exhibition according to a uniform concept. With the spiral shaped Raumbühne (Space Stage) he also contributed the centerpiece of the exhibition. In the accompanying catalog, in addition to his own texts, he published numerous manifestos as well as illustrations of theater and film avant-garde. This unique guest performance by the avant-garde in Vienna will be presented to the public in a focused studio exhibition. An extensive catalog presents the results of the most recent research on Frederick Kiesler’s early creative period in Vienna.